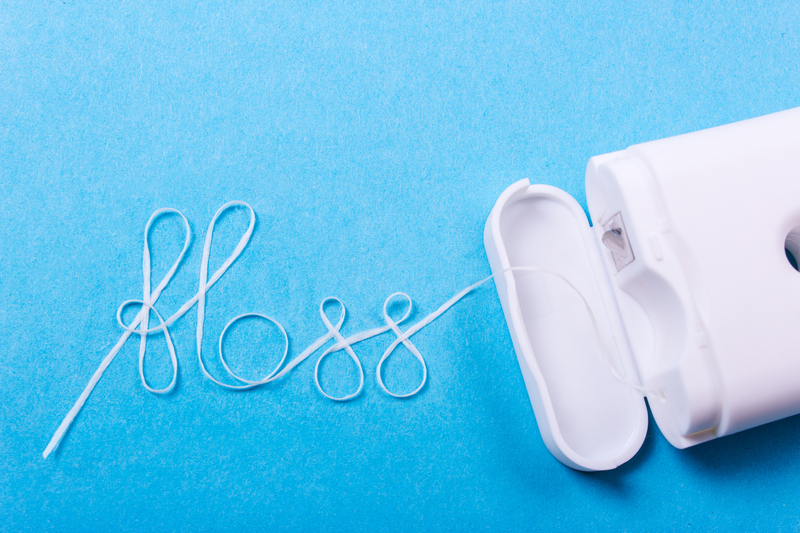 Flossing – Are You Doing It Wrong? Flossing seems simple enough but is it possible you have been doing it wrong all along? Flossing is one of the most important parts of your oral hygiene routine. You should be flossing at least once per day and ideally after each meal since food and bacteria can become trapped between your teeth and near your gums. Without proper flossing, you may experience bad breath, gingivitis, periodontal disease, tooth decay, cavities and more. Do not worry if you are like many people and do not exactly enjoy flossing – you are in good company. But, nevertheless, flossing is essential to dental and oral health. If you are going to floss every day it is important to make the most of it and do it correctly. 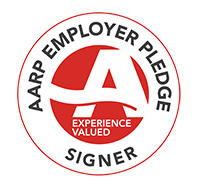 To begin, unwind about 12 to 18 inches of floss and wind it around your fingers. Common misconception #1 is that you should just get the floss between your teeth, go all the way to the gums, and then pull it right back out. Don’t rush the process. What you are looking to do is spend a little time between your teeth moving back and forth as well as up and down. And, that is not all. 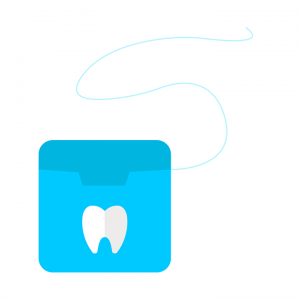 Curve the floss around the contour of each tooth while you are in there and keep flossing. The floss needs to move all the way up between the tooth and the gum line because your toothbrush cannot get in there like floss can. There is an astonishing amount of bacteria between your gum line and your tooth’s surface so it should not be overlooked. There are special considerations for certain individuals that wear braces or other dental equipment. There is orthodontic floss designed specifically for these cases and has a stiff end that can navigate around and through equipment to reach areas of the teeth that regular floss would not be able to. If you see blood, don’t panic! A little blood is normal when you begin properly flossing and is the result of inflammation but should go away in a few days with consistency. If the specifics of proper flossing are still a little confusing for you, or you have any questions, do not hesitate to ask your dental hygienist or dentist. They are used to questions about flossing and can even give you a tutorial so that you can see exactly how to best floss your teeth for optimal oral health.